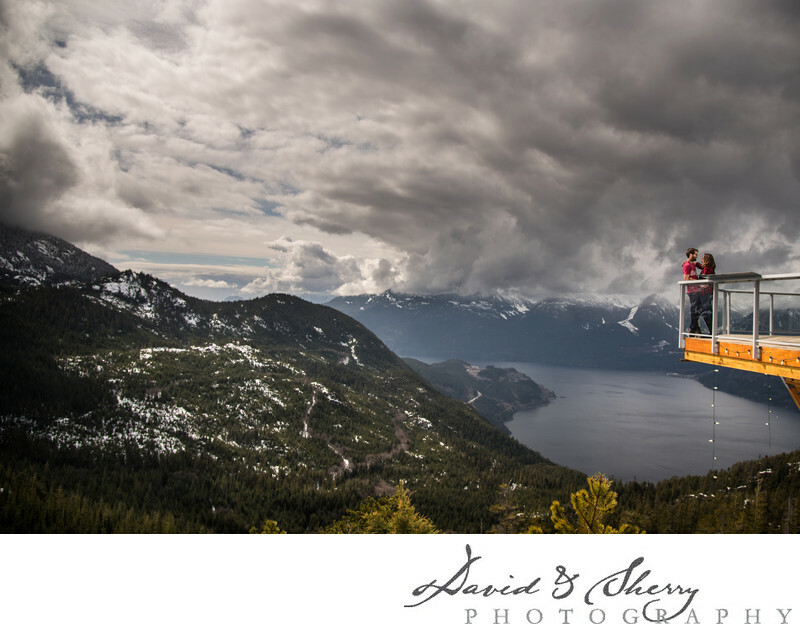 Perched atop the city of Squamish right next to Stawamus Chief and Shannon Falls with a view of Howe Sound and the surrounding mountains which rise out of the Pacific the top of the Sea to Sky Gondola is one of the most beautiful places on earth that is easy to get to. 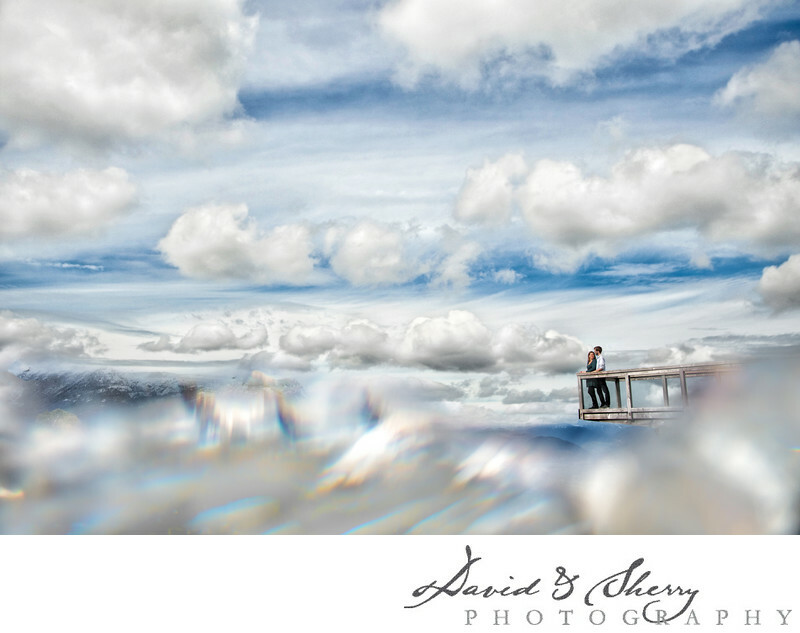 A short ride up from the famous highway that connects Vancouver to Whistler this hiking paradise has been built with a full scale banquet facility which is perfect for the most beautiful weddings in the world as well as wedding photos that are out of this world. The number of options available to have mountaintop wedding pictures in your gown with your new husband in his tuxedo standing together overlooking the thousands of feet below and the setting sun against the Pacific Coast mountains will leave everyone breathless at it's beauty. Just because you have your wedding at the top of a mountain doesn't mean you have to sacrifice quality of service or food. The chef at the gondola restaurant prepares top quality food to go along with your guests' experience atop the world. A short walk around the grounds will find you with the suspension bridge to a second lookout point and short hike will find you in the location where this photo was taken with a balcony built to overlook the Stawamus Chief, the most recognizable Rocky Mountain on the way to Whistler. Have a look through our Couplescape portfolio to get a better idea of the kind of art work we can produce for you in beautiful locations such as this. Location: 36800 BC-99, Squamish, BC V0N 3G0.